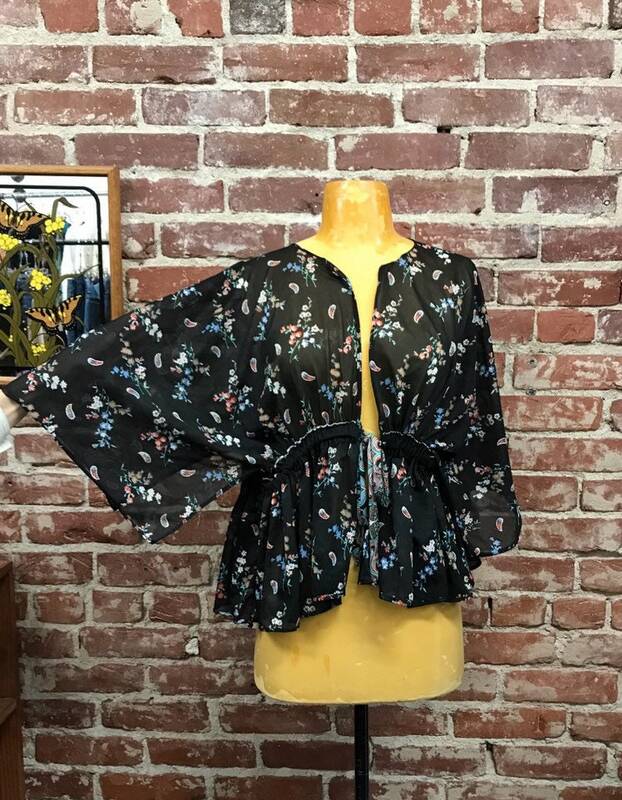 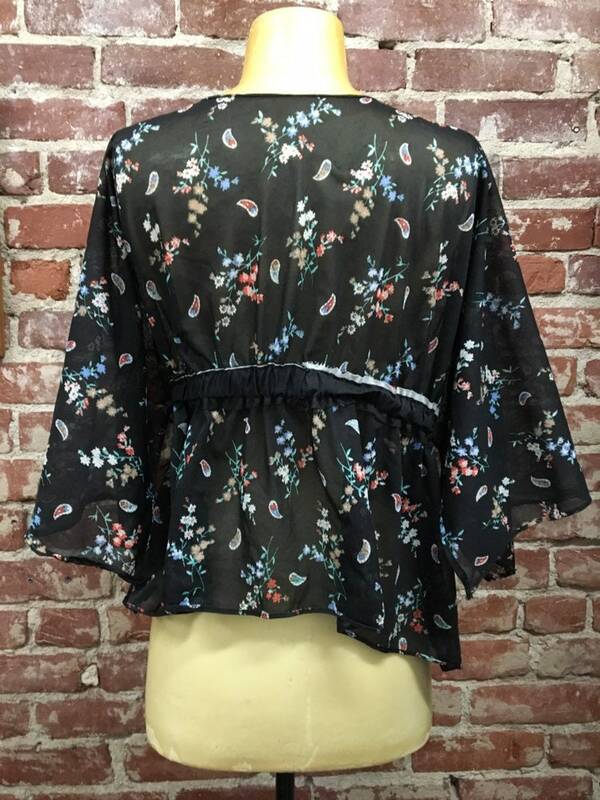 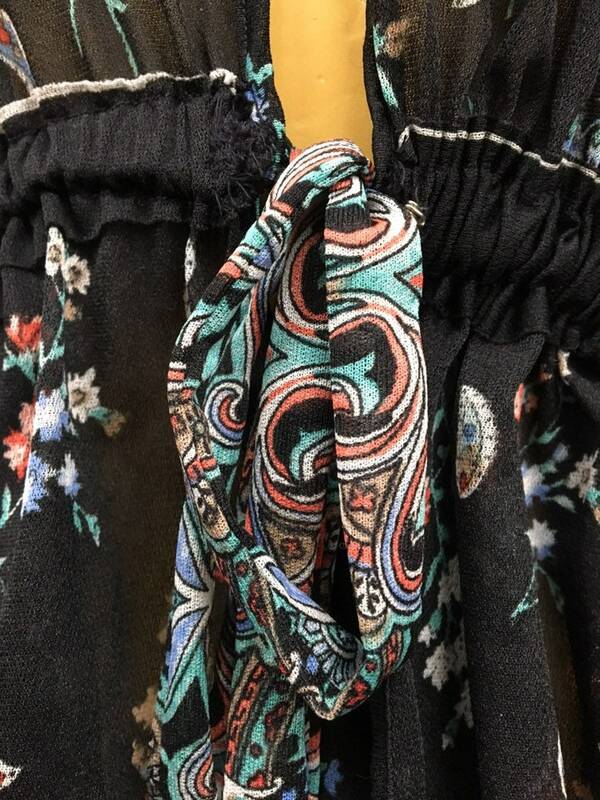 Beautiful seventies Black Floral Plunging Neckline Waist Cinching Blouse. 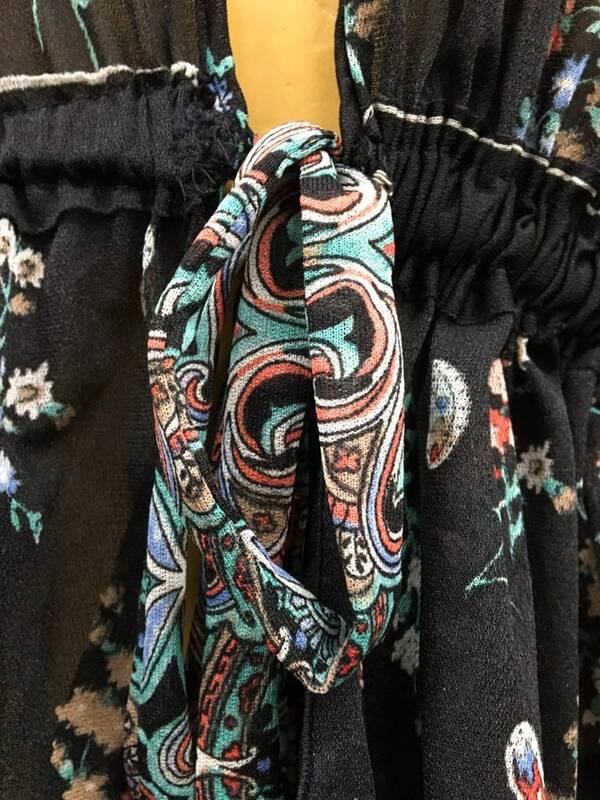 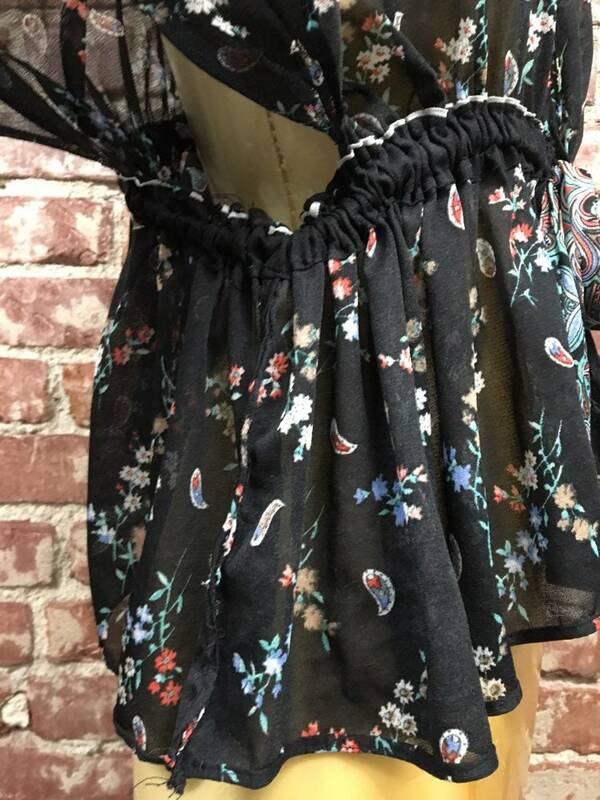 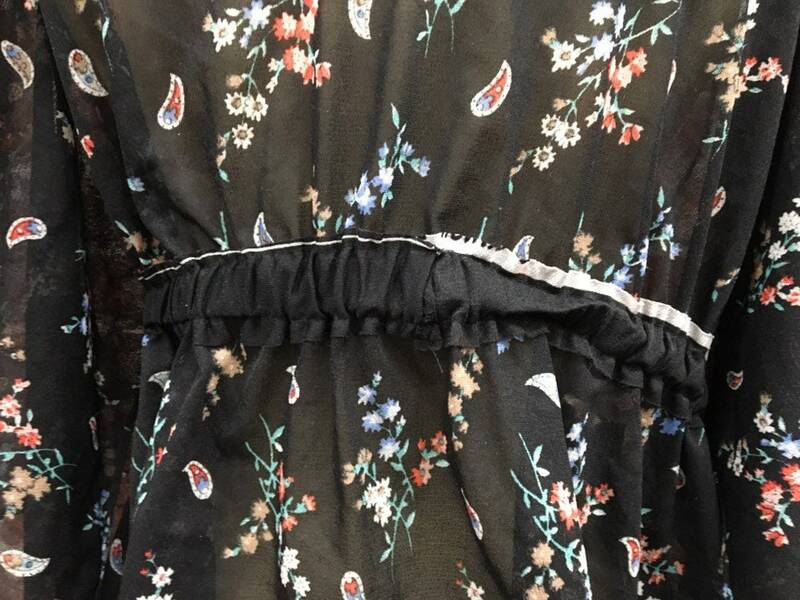 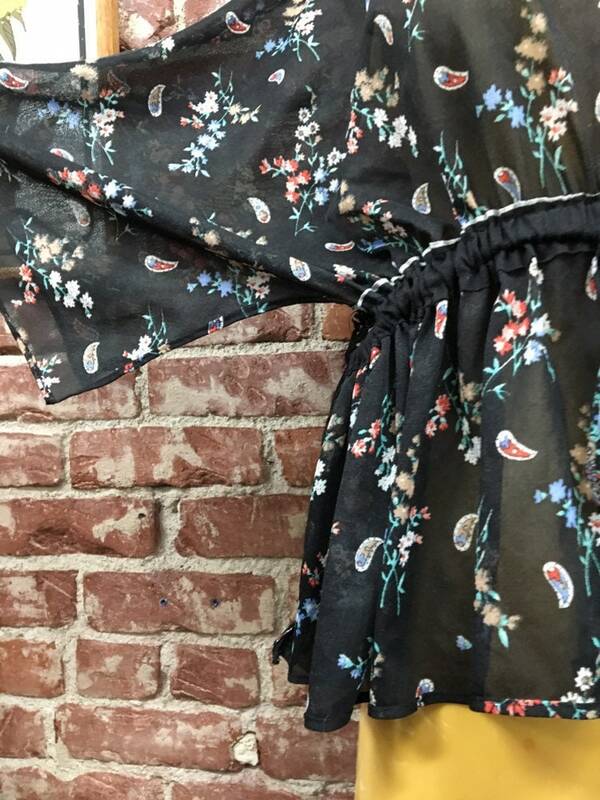 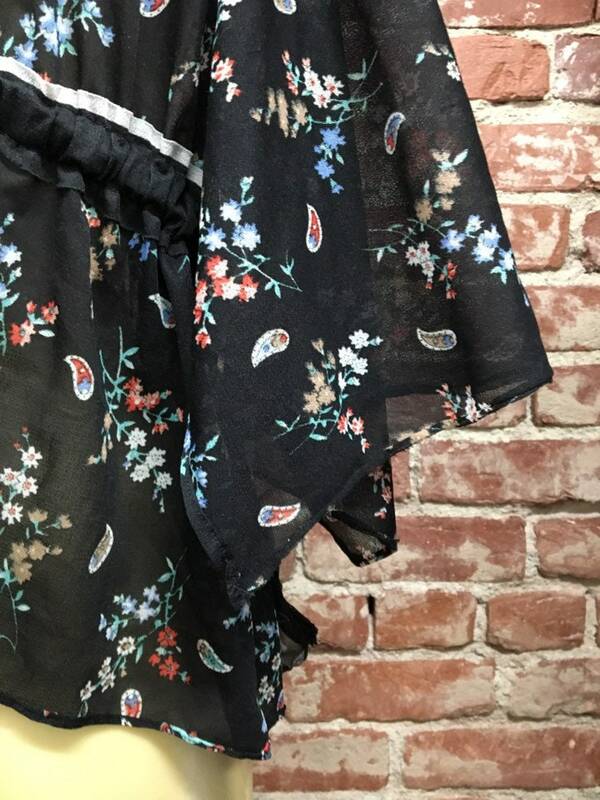 Beautiful print, with a stunning waist cinching tie. 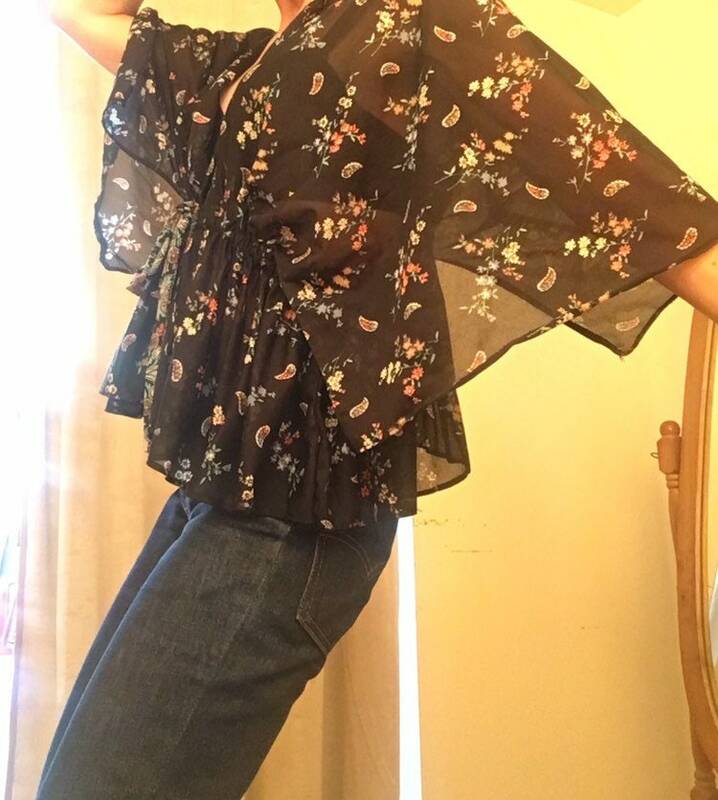 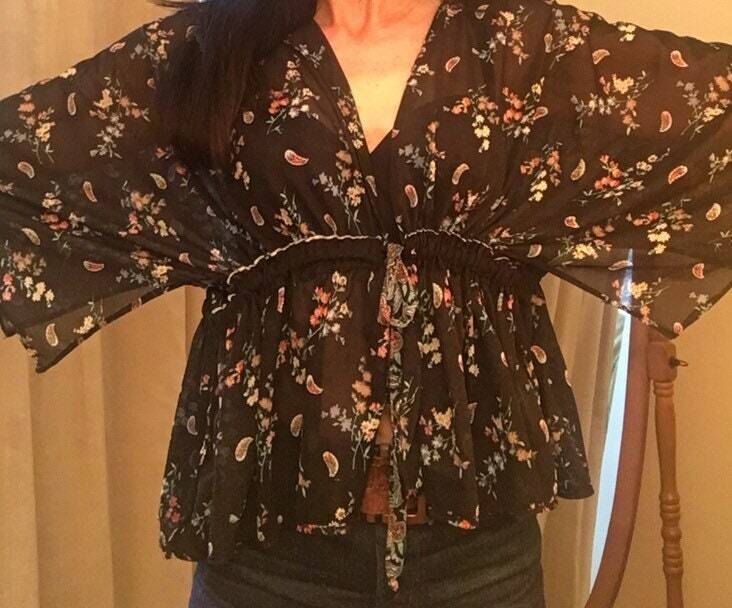 This blouse works with everything.